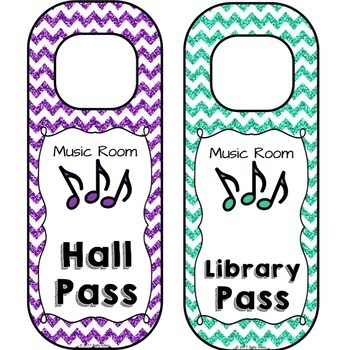 Glitter & Chevrons design hall passes for the music room! 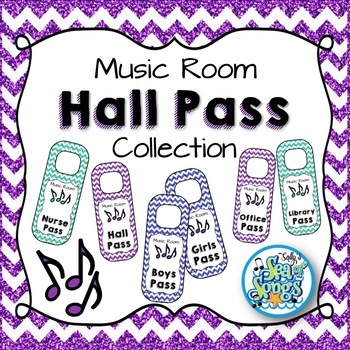 Hall, Office, Nurse, Rest Room, Boys, Girls, Library. 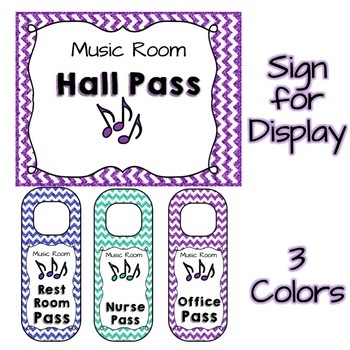 Includes a sign to organize your passes display. 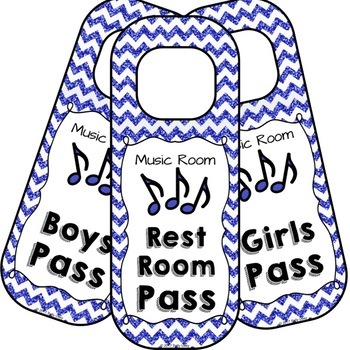 Each pass comes in 3 different colors. Use all one color, or mix & match to make your own style.